Refraction, in physics, is the bending of light rays when they pass from one medium to another. The degree of bending of light rays will be variable, depending on the density of the two media. Air for example has a low density, so it causes slight bending of light. In contrast, glass has a higher density, so it causes larger bending of light. When applying this principle in practice, we can say that a lens or a curved mirror has a light-refractive power (light- bending power), the larger the refractive power, the stronger the lens. The unit of measurement of refractive power is the diopter (D) and hence it can be called dioptric power. The diopter is defined as the power of a lens that brings parallel light rays falling on it to a focus at a distance of one meter. For example, a 4-diopter lens brings parallel rays of light to focus at 25 cm (1/4 meter). If the lens is concave its power is expressed as minus and if it is convex its power is expressed with a plus sign. The eye is a complex system of lenses. The main refractive structures in our eyes are the cornea and the lens, working together to focus the parallel light rays of light on the retina at the back of the eye. The refractive power of the cornea is about + 42 D where that of the crystalline lens within the eye is about + 18 D.
As the cornea has a larger refractive power, it is more important for focusing light rays on the retina at the back of the eye. However, refraction alone is not enough to obtain a clear image, especially, when we are looking at near objects. From here, the importance of the lens arise, as it can vary its refractive power by changing shape from being spherical to be more oval and back again when needed, in a process known as accommodation (the ability of the eye to change its refractive power in order to see clearly objects at different distances). When the light rays perfectly focus on the retina at the back of the eye, the individual does not need to wear spectacles and is said to be emmetrope. However, the shape of the cornea and the eye are not usually ideal and so the image does not focus exactly on the retina (blurred). 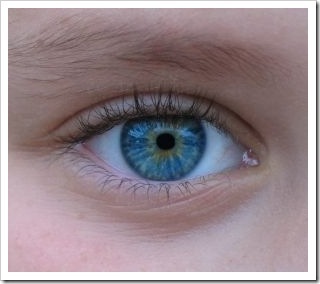 These imperfections in the focusing power of the eye are called refractive errors (defects). 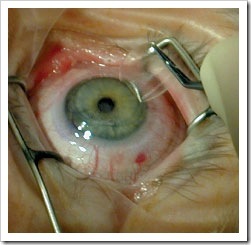 The individual who have a refractive error is said to be ammetrope. From the previous discussion we can define Emmetropia as the normal refractive condition of the eye in which with accommodation completely relaxed, parallel light rays from an object come to focus exactly on the retina, creating a sharp image of that object. On the other hand Ammetropia can be defined as a condition of refraction in which with accommodation, completely relaxed, parallel light rays from an object do not come to focus exactly on the retina, creating a blurred image of the object. Aphakia means the absence of the lens from the eye, which can occur as a congenital disorder or commonly after cataract operations. Anisometropia is a significant difference between the refractive errors of the two eyes (usually > 3 diopters). Combinations of myopia and astigmatism or hyperopia and astigmatism are common. The diagnosis of refractive errors is often performed by ophthalmologists or optometrists combined with a comprehensive medical eye evaluation. The primary reason for treating refractive errors is to improve a patient’s visual acuity and visual comfort. Occasionally, a very small refractive error in one patient may require correction, while another individual may function well without problems with an uncorrected refractive error. Patients with high refractive errors, generally require correction to reach adequate vision. Other reasons for correction of refractive errors include enhancing binocular vision (e.g., for driver safety) and decreasing squint, (cross-eyed). Eye Glasses are the simplest and safest means of correcting a refractive error. A contact lens can correct a wide range of refractive errors by replacing the cornea as the primary refractive surface of the eye. Persons who do not wish to wear glasses most frequently use contact lenses. Some patients such as persons who have high refractive errors, an irregular corneal surface or shape, only reach optimal visual function with contact lenses. Surgical procedures aimed at improving the focusing power of the eye are called Refractive Surgery procedures (e.g., LASIK). In LASIK eye surgery, precise and controlled removal of corneal tissue by a special laser reshapes the cornea changing its focusing power. LASIK vision correction is effective in treatment of low and moderate myopia with or without astigmatism, as well as hyperopia with or without astigmatism. Other types of refractive surgeries such as implantable lenses (Visian ICL and Verisyse) can correct higher levels of myopia.